Q: I’m a regular reader of your column and enjoy the topic of new plumbing technology. I’ll be shopping for a new kitchen faucet soon and want a pullout spray type. Since I want cool features, what new spray head options are available? 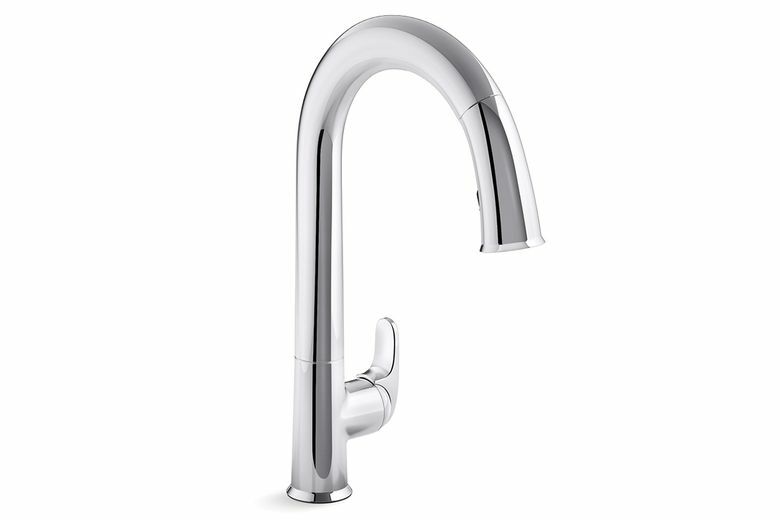 A: Take some notes because pullout and pull-down spray head kitchen faucets are very popular. And with popularity come a lot of new features. Here are five of my favorite new kitchen faucet spray head options. Spray boost. With the push of a button, give your spray head a controlled burst of extra water-spraying power. Soft spray. Gently rinse delicate produce and fruits without bruising. Sweep spray. Special angled nozzles create a blade of water to sweep away stuck food. Ring spray. Target your spray area with a narrow ring of water. Pause feature. Pause the water flow instantly — and that’s my cue to stop right here.